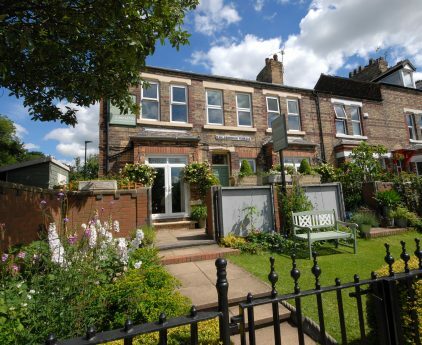 Abbey Guest House is situated on the banks of the River Ouse, just a few minutes’ walk from both York city centre and York train station. If you are coming by car, we have free private parking until the end of May 2019. From June 2019, the most convenient option is the Marygate public car park situated directly behind the guest house. Discounted parking vouchers are available, saving up to 38% on the cost of parking in Marygate. Please select at the same time as reserving your room. View our guide for further details. Should you have any questions about visiting the city of York, our guest accommodation or availability, please do not hesitate to get in touch. Guests with impaired mobility may not find our home accessible; please see our Access Statement.